The best help desk software system can become a major factor in success of your small business. However, before you stop reading this and look for the next help desk management vendor available, you have to do a thorough review of various considerations first. 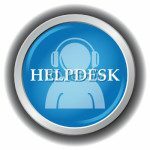 Some help desk small business software tools are free or have demo versions and do good service. On the other hand, some great products can cost lots of dollars. Some charge a fee monthly or annually or based on the number of people who will access the program. But let this be clear: Do not make assumptions that because the solution costs an arm and a leg, it provides you with better solutions. Cost may be quite misleading, as other factors come into play: suitability of the tool to your business needs, adoption of the staff, implementation and integration with your pre-existing business systems, among others. Check first your business needs before you buy or use a help desk software system. Without this evaluation of your needs, then any good project management solution will not be put to good use that does not specifically answers the gaps you need to address. Make sure the help desk small business software solution you will be using is secured and safe in environment and data transfer. Make sure your business is branded. Whether your small business deals with online selling or running a mom-and-pop cafe, the help desk software tool you will use must be branded for your business. Make sure the help desk solution you will pick can be branded allowing it to contain your company information, copyright information, logos, URLS, as well as legal information. Your help desk software solution should not only answer your business needs but it also needs to be easy enough to be used by your intended users. If your help desk software service becomes overly complicated, then there will possibly be repercussions on the capacity of your organization to smoothly proceed with your usual operations along with the new solution. The whole point of getting a help desk software solution is “help”. That is why it is good that you also check how user-friendly the solution is for your employees and clients. In our SaaS directory you can find a wide selection of various help desk solutions, but here’a s list of help desk software solutions for small businesses you might want to check out right away. If you are a vendor and have an interesting B2B product that hasn’t yet been listed on our review platform feel free to let us know about it.  You can add your product to the listing here. Our experts will be happy to preapre a detailed review of your product free of charge. Here’s an example of a help desk software review by us. KronoDesk combines customer support system (with help desk ticketing), customer support forums, as well as a web-based knowledge base in one, user interface that is very user-friendly and navigable. Its features include a flexible and powerful help desk ticketing system, which you can customize to match your business needs as well as personal preferences. For your small business, both your agents and customers will find the solution easy to use. For small businesses, this tool is a one-stop hub that enables them to interact and engage with customers and give them topnotch customer service. Among others, Kayako supports tickets, web, email, live chat, calls or self-service support to enable small businesses further improve how they can reach out to their customers. Kayako also helps small businesses look for insights according to customer queries, including performance metrics, sales trends and opportunities, and support bottlenecks. Kayako has a mobile app for Android, Windows Phone, iOS, and Blackberry so you can give immediate customer service on the go. The tool is also scalable to fir the pace of your small business. If you have a small business and you want to empower not only your team but also your customers, then you should try out Vivantio Service Desk. With this tool, you can better manage your helpdesk to reduce workload as well as improve customer service. Vivantio Service Desk responds to both concerns of your internal and external customers with amazing efficiency and quality output. If you want your business to have an affordable and at the same time automated helpdesk solution, then this software solution fits the bill. Vivantio can give your business the quick and consistent service you would want for your help desk. It has automated workflow, integrated email, and customized web self-service among others, making sure your end-users would get fast and reliable service every time they use it. Through the tool’s reporting features, one can quickly track the calls processed, the kinds of calls, response times, plus more. This can allow small businesses like yours to evaluate the issues that must be prioritized or quickly addressed to reduce future calls. The tool can also pinpoint various problems or issues with particular support team members for performance review. A cloud-based SaaS subscription of this tool can also mean low up-front costs for small businesses, easier deployment, reliable service, secure data, and predictable future costs. LiveChat is perfect for small businesses that want a simple and user-friendly solution for their online marketing, live support, and web analytics needs. The platform allows companies to talk with customers and future clients on the website, real time. For more than 10 years mow, LiveChat is considered among the most outstanding chat solutions for small businesses. It integrates well with other platforms and applications, including Facebook. LiveChat turns your support team into customer service rockstars for your business. Fast and intuitive, LiveChat will surely win the hearts of your new and existing customers and gain a big advantage over competitors. Mojo Helpdesk is a help desk service for small businesses to centralize, assign, as well as monitor user tech and customer requests. It also does well with managing internal tasks within the company. It is a perfect application for your company’s customer support as well as internal task tracking where requests are centralized and quickly assigned to team agents for processing. All helpdesk messages sent to the users or customers are duly recorded in a discussion-like thread. A simple helpdesk solution with a “Google-like” interface and feel, Mojo Helpdesk is a customer and internal support helpdesk fully integrated with Google Apps. A single-sign on from your company’s Google Apps account will lead you into quickly using the solution.